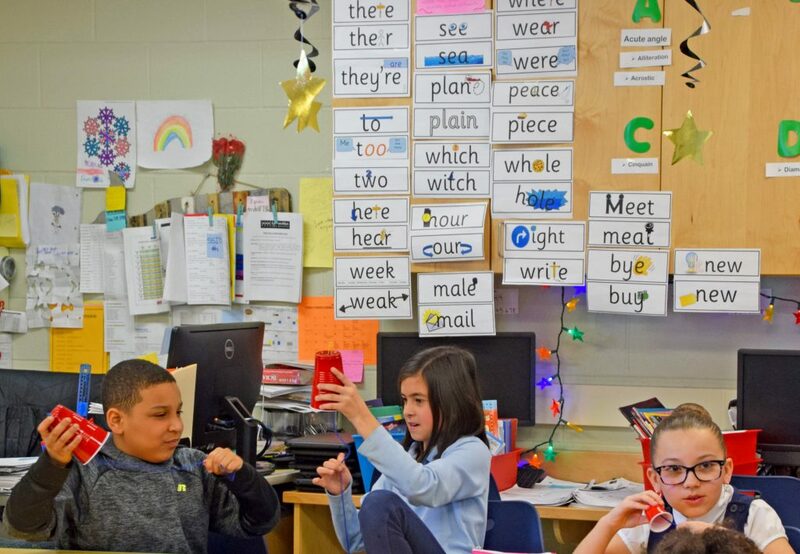 New England Science & Sailing Foundation (NESS) and the Eastern Connecticut Symphony Orchestra (ESCO) presented New London 4th graders with an exciting collaboration! This project, funded by Pfizer, exposed New London students to live music and interdisciplinary learning. 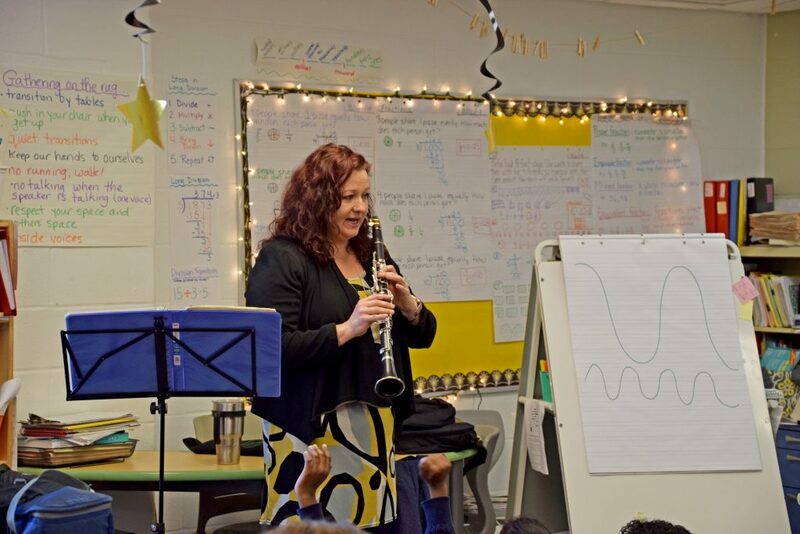 Kelli O’Connor (clarinet), Tom Brown (trumpet), and Becky Johnson (viola) from ESCO visited students from Winthrop STEM Magnet Elementary, Nathan Hale Arts Magnet Elementary, and Harbor School throughout the week of March 18. This special project focused on the science behind sound and the natural world. Each musician visited and demonstrated the mechanics and science behind their instruments. They discussed how sound waves work and the connection between music and sounds found in nature. Then, the NESS education team dove into topics like Seabird Calls, Marine Mammals & Whale Song, and Insect Sounds. How do music and animals relate? Kelli O’Connor, the principal clarinetist from ESCO, visited the three schools on Tuesday. She described how the clarinet creates sound and what kinds of sounds it can make. While playing one continuous note, the students sang to match the pitch, harmonize, and sang a clashing note. This allowed the students to hear the similarities, differences, and even hear sound waves. Then, Kelli played a few bars from Igor Stavinksy’s The Firebird and Sergei Prokofiev’s Peter and the Wolf ballets. Afterwards, she asked the students to guess what animal the music was trying to represent. Following Kelli’s program, the NESS team continued the program, making connections between the natural world and music. Educator, Sean Linden, led a lesson on seabird vocalizations including the biology behind it and why they make different calls. At the end of the lesson, students were handed small and large plastic cups with a wet string attached. As the students pulled their fingers along the string, it made a loud croaking sound mimicking the snowy egret, a local coastal bird. Interdisciplinary and experiential learning is so important. 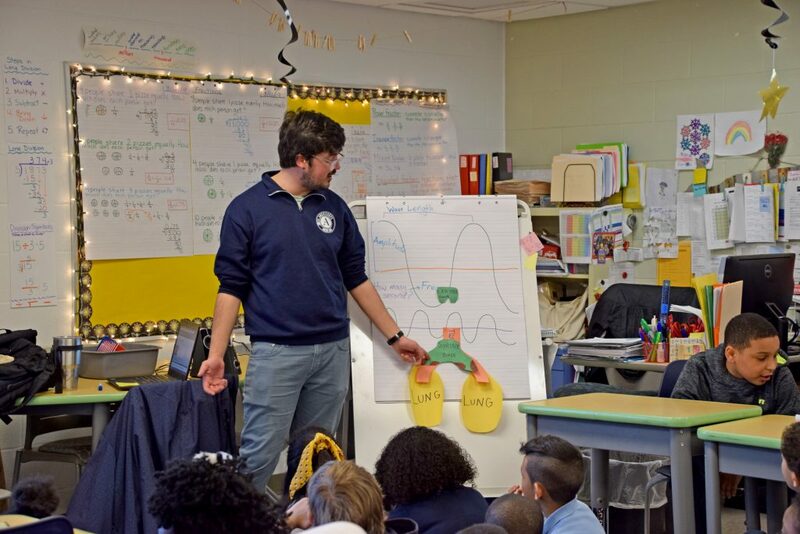 The integration between arts and academics influence students to become more civic-minded and achieve academic success. Experiences like this expose students to music, increase interest in playing instruments, and knowledge of careers in the performing arts. Thank you to Pfizer and ESCO for making the integration of the arts into STEM a tangible experience for our students.